Want to spice up watching the Walking Dead finale! Planning on having a party need some conversation pieces? There are a whole arsenal of crazy walking dead themed toys, items and Freelies. What are Freelies? Freelies are items that are real, tangible props that are ripped right out of the fantasy world of a tv show or video game and brought right into your living room. 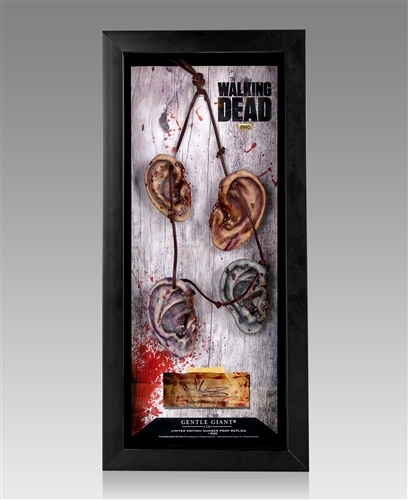 Gentle Giant Digitally prints out items from shows then combines puts them in nice tidy display cases. 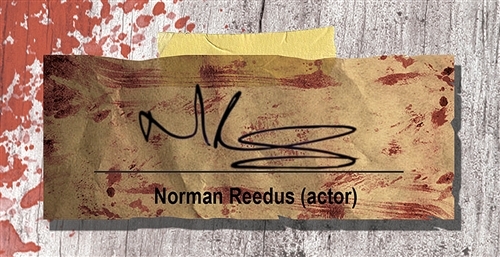 The Walking Dead items from Gentle Giant also often sport autographs from the actors that use the prop. These are not the actual props used on the show but recreations. Walking Dead Survival Kit is an actual Survival Kit with a Walking Dead theme. There are also a variety of themed board games for Walking Dead however my personal preference is for some of the other Zombie themed games. I will try to get a full review of some of the more popular games out here my personal favorites are Zombicide, and All Things Zombie.